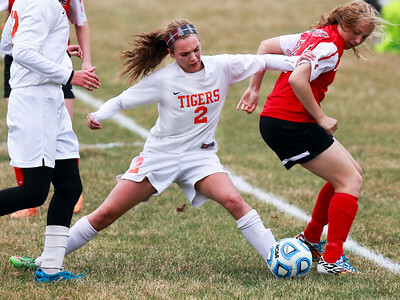 Sarah Nader- snader@shawmedia.com Huntley's Tayah Owens (left) and Crystal Lake Central's Katie Beck fight for control of the ball during the first half of Tuesday's match at Crystal Lake Central High School April 7, 2015. 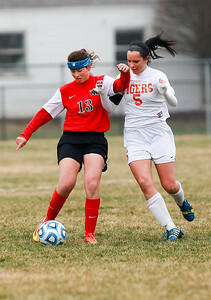 Sarah Nader- snader@shawmedia.com Huntley's Deanna Hecht (left) runs past Crystal Lake Central's Stacie Wolfgram during the first half of Tuesday's match at Crystal Lake Central High School April 7, 2015. 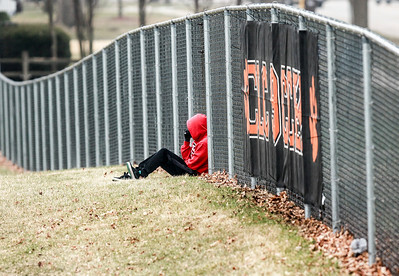 Sarah Nader- snader@shawmedia.com A soccer fan is bundled up while they watchTuesday's match against Huntley and Crystal Lake Central April 7, 2015. 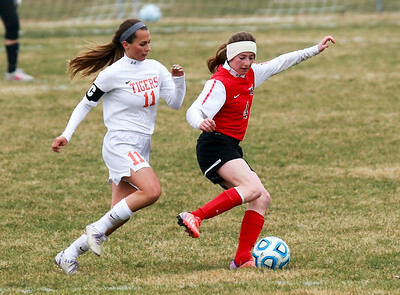 Sarah Nader- snader@shawmedia.com Crystal Lake Central's Riley Hudak (left) and Huntley's Victoria Padal go after the ball during the first half of Tuesday's match at Crystal Lake Central High School April 7, 2015. 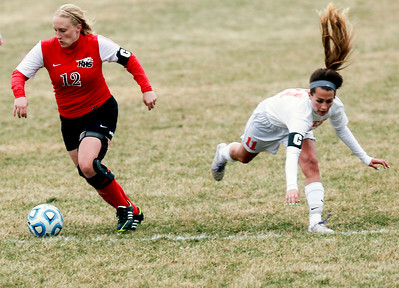 Sarah Nader- snader@shawmedia.com Crystal Lake Central's Stacie Wolfgram (left) runs after Huntley's Katie Costantino during the first half of Tuesday's match at Crystal Lake Central High School April 7, 2015.